The global over-the-top devices and services market was valued at USD 46.4 billion in 2017 and is anticipated to grow at a CAGR of 17.8% during the forecast period. Over-the-top (OTT) is delivery of content, services, and applications through the internet. OTT services deliver film and TV content without requiring users to subscribe to a traditional cable or satellite pay-TV service. Over-The-Top Devices and Services market operates through three different revenue models namely SVOD (subscription-based services), AVOD (free and ad-supported services), and TVOD (transactional services allowing users to pay for individual pieces of content). The growing adoption of device-based computing, and increasing penetration of broadband infrastructure drive the growth of the Over-The-Top Devices and Services market. Availability of affordable OTT devices and services encourage consumers to adopt them for a personalized experience. The growing media and entertainment industry especially in Asia-Pacific region, further boosts the market growth. The growing disposable incomes, and improving living standards also support market growth. Other factors driving the Over-The-Top Devices and Services market include growing demand for online content, technological advancement, and increasing purchasing power of consumers. Growing demand from emerging economies, and increasing consumer awareness are factors expected to provide numerous growth opportunities during the forecast period. The global over-the-top devices and services market is segmented on the basis of content, devices, services, revenue model, deployment model, end-user, and region. Based on content, the market is segmented into VOIP, Video, Text and Image. On the basis of devices, the market is segmented into mobile devices, laptops and desktops, set top box, and gaming consoles. The services are segmented into consulting, managed services, installation and maintenance, and training and support. The revenue model segment is divided into SVOD, TVOD, AVOD, and others. Based on deployment model, the market is segmented into on-premise, and cloud-based. The end-user segment is divided into BFSI, healthcare, media and entertainment, IT and telecom, retail, and others. 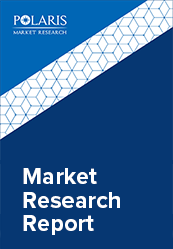 The over-the-top devices and services market report comprises a detailed geographic distribution of the market across North America, Europe, APAC, Latin America, and MEA. North America is further segmented into U.S., Canada, and Mexico. Europe is divided into Germany, UK, Italy, France, and Rest of Europe. Asia-Pacific is bifurcated into China, India, Japan, and Rest of Asia-Pacific. The North America accounted for the largest share in the Global over-the-top devices and services market in 2017. The leading players in the Over-The-Top Devices and Services market include Microsoft Corporation, Yahoo Inc., Amazon.com, Google Inc., Netflix Inc., Roku, Inc., Hulu, Apple, Inc., Akamai Technologies, Facebook, Inc., Limelight Networks, Inc., and Tencent Holdings Ltd. among others. These leading players in the market are introducing innovative products to cater to the consumers. Global players are entering new markets in developing regions to expand their customer base and strengthen market presence.